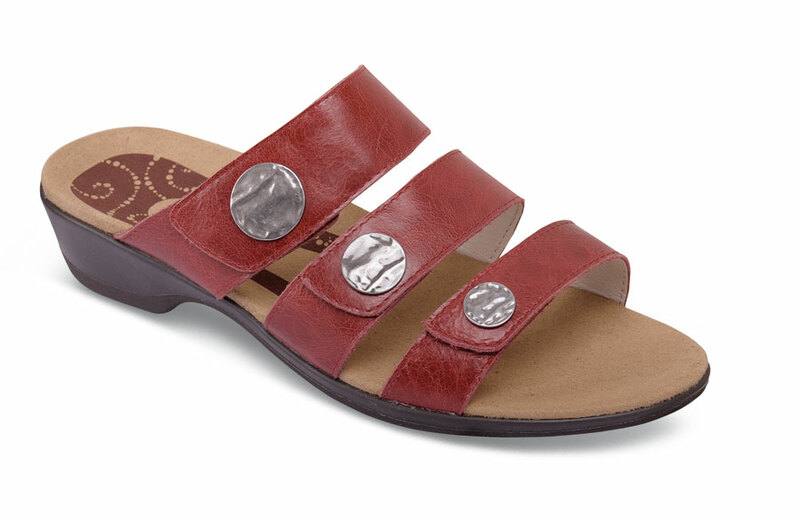 The Rejuve Motion Technology™ topsole in Propét's "Annika" slide sandal has a unique U-shaped heel seat that provides medial and lateral support to guides the foot in motion. The striking "cayenne" leather uppers have three adjustable straps. 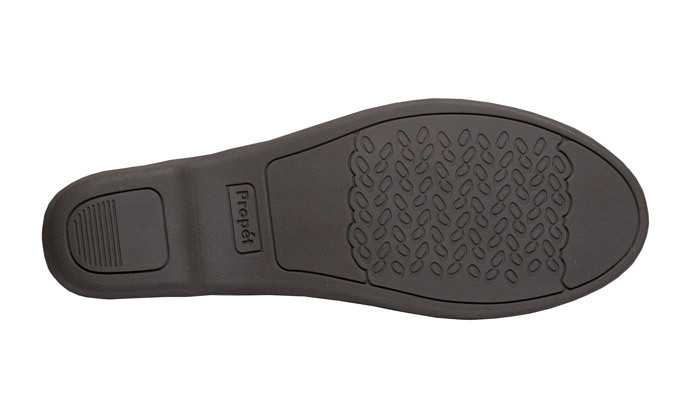 TPR sole with 1½-inch heel height. Originally $94.95. Limited stock in women's in 2E width in sizes indciated.